For the third consecutive year, AccorHotels, an Official Partner of the Australian Open, has signed tennis superstar Serena Williams as its Official Ambassador. Recognised as the greatest female tennis player of all time, Serena holds more major tennis titles than any other current player. 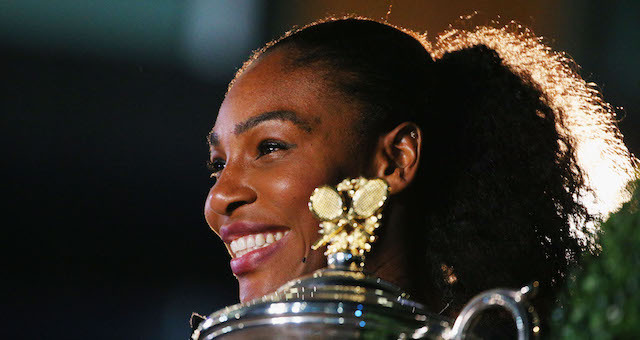 “As one of the most celebrated athletes of all time, Serena is the perfect ambassador for AccorHotels for the Australian Open and we are thrilled that she has signed on with us again,” said Michael Issenberg, Chairman and CEO AccorHotels Asia Pacific. “After taking home the Australian Open title last year while secretly in the early stages of her pregnancy, the eyes of the world will be on Serena this year as she plays her first major tournament after having her daughter. “Serena is truly a role model and her determination and commitment are an inspiration to our teams, our guests and tennis fans the world over,” he said. AccorHotels’ partnership with the Australian Open will see the group provide information services to Australian Open fans, staff training for the Melbourne Park service hubs and player concierge services. AccorHotels will also proudly host the Australian Open 2018 Official Player Party and provide exclusive benefits to members of its Le Club AccorHotels and Accor Plus loyalty programs to enjoy the Australian Open in style. The multi-million dollar advertising deal will see Serena’s image broadcast via billboards, in-hotel collaterals, owned and social media channels for the lead-up and duration of the event. In addition, the group has invested in AccorHotels branding on digital signage across the Rod Laver, Margaret Court and Highsense arenas for the duration of the tournament as well as across hospitality and information booths at the ground.